So we get a recording of someone pointing the camera at the floor. Ballyfermot aint too bad. Its the clientele which lets it down. Clondalkin was a hole up to 2 years ago when a new manager came in and had a spruce up. The staff belong on a dole queue. Try Upper Camden St Tesco Express. Ha, the layout in that place is mad. That’s the same Tesco who won’t publish their figures for how much profit they screw out of Ireland? Tesco object to every new development everywhere, both Aldi and Lidl have complained about it before. According to Aldi, Tesco have objected to every single on their attempts to open new shops. I’m sure Aldi / Lidl would do the same. I hate that saying. Don’t play the game. They are both around for decades so do you have any evidence of Aldi or Lidl doing the same? CC should Get a job in Tesco. Miserable ladypart. 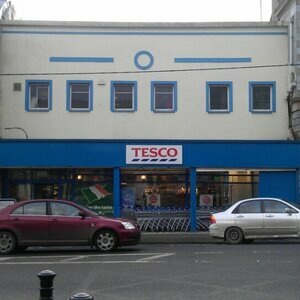 There has always been something a bit dirty about Tesco stores imo, and it hasn’t been helped by the efforts by Dunnes/Super Valu to improve their own image/premises in recent years. Not sure Tesco have the energy to totally overhaul their ‘bland but cheaper’ image. Still has the trace stink of yellowpack off it. Hi CC – what you’re describing sounds like Tesco are holding back competition (or improvement of any sort) using their restrictive land covenants. that floor is filthy, but i’d still prefer that Tesco store to my local one on south circular. it’s pretty tight around the aisles, not helped by the fact that they are CONSTANTLY RESTOCKING. geniunely never been there without those big metal trolley things with people stocking and stocking and never stopping stocking. it’s impossible to get around. That Tesco is the bane of my existence. They are ALWAYS restocking the shelves, and yet they never seem to have any stock. People are gas – would you not go to a different supermarket, if you dislike this one so? there’s logistics at play here, robert. route home, location of other markets etc. Not to mention of course the mis-pricing of the shelves, and the placing of produce on the reduced-Price offers shelves that aren’t part of the reduction. Their own brand dog vomit is nice. More lumps than the premium brands. when I went to college years ago I was within walking distance of a tesco. Early doors I picked up a few typically studenty foods: burgers (hopefully not of the horse variety), chips etc. Anyway, having gotten all these I realised I needed a condiment of some description. I think the tesco in question didnt have any other varieties but I was also a bit wary of paying for ‘premium’ products so tried my luck with some Tesco Value Ketchup. Possibly one of the most disgusting things I have ever consumed. Like bad tomato chutney partially dissolved in some water. Every single Dunnes (grocery) store I’ve ever been in smells of old woman pee. Stop going shopping with yer ma then. Bilbo was surprised to wake one morning, and find that a Tesco had been built right next to his house.It was an unexpected item in the Baggins area. Looks like a Quinnsworth floor. 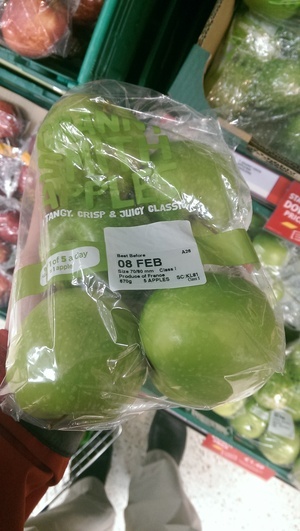 Tesco where the only things lower than the price are the standards.